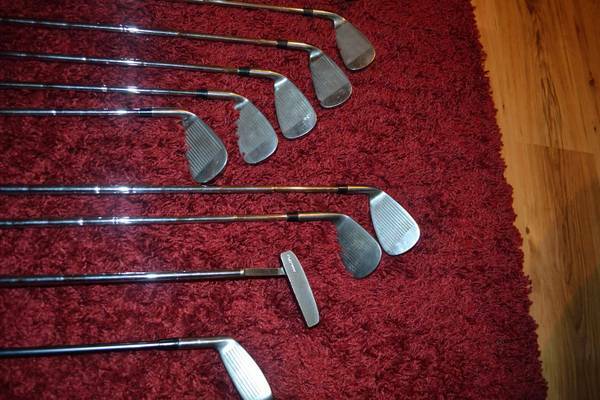 This is a nice set of clubs irons are PW,S,6,7,8,9 and woods 1,3,4,5. 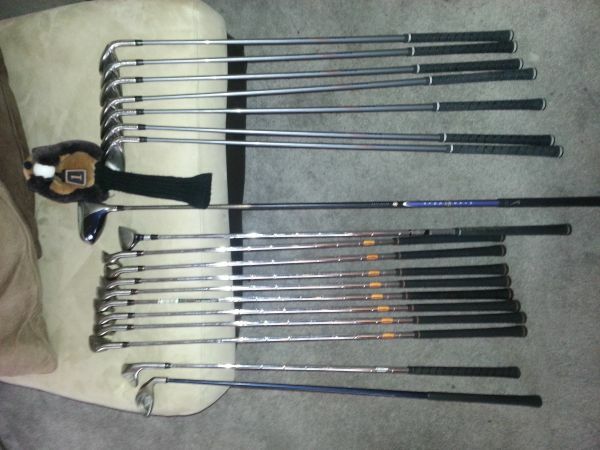 The shafts are graphite with L flex. The bag is a light pink,gray, and white , everything is in very nice condition.I am asking $125 OBO please call me at show contact infothank you.